It was a full house at Bere Ferrers Social Club on Friday 4th November for the ‘Shanty Special’. 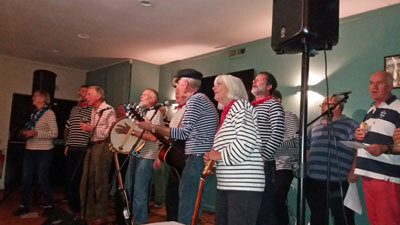 The Tavy Tars hosted the evening, and their guests were a cracking shanty crew from Mevagissey, the Press Gang. 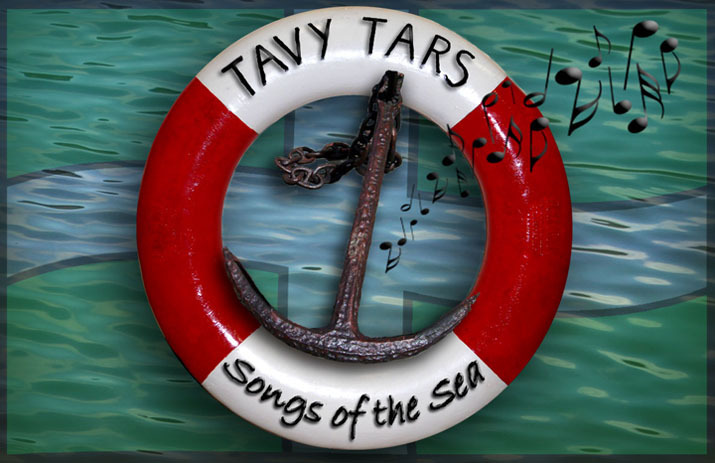 Both crews entertained a very appreciative audience, and then cheques were presented to various organisations from performance fees accumulated by the Tavy Tars. The recipients were: Make a Difference (Tavistock) £300, the Alzheimer’s Society £300, Weir Quay Watersports Hub £300, Kate Guest - £100 towards her educational trip to Borneo in 2017, and the RNLI £500. The finale was a joint singalong session which raised the roof. An additional £223 was collected during the evening to go towards funding the Bere Alston night landing site for Devon Air Ambulance.